Take back your privacy today! Securely encrypt your web traffic and conceal your IP address. 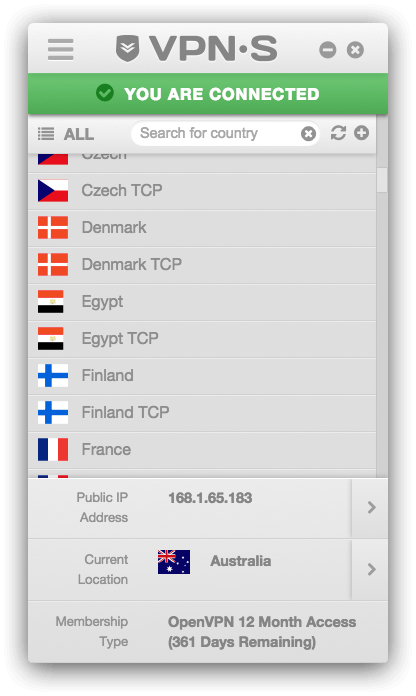 VPNSecure provides VPN server locations in 48 countries and is frequently adding to the list. You have the ability to change your server location at any time with unlimited switching & we can recommend server locations that will likely work best for your connection. Gigabit servers located in strategic locations across the USA, Australia, United Kingdom, New Zealand & Asia. Click 'See Locations' for our full list of VPN servers.